Note the dew claws to the rear of the splayed cleaves (toes of a cloven hoof). 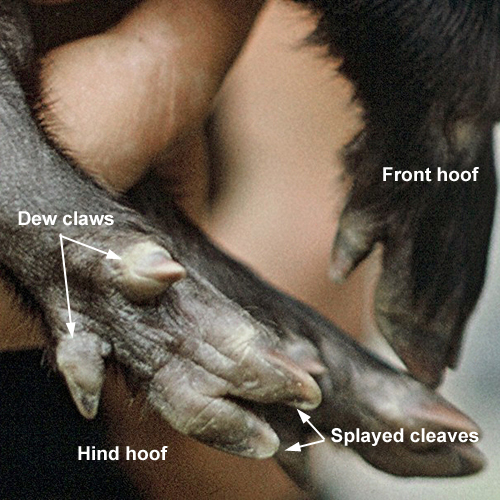 Compared to deer, the cleaves are splayed further apart, and the dew claws closer to the hoof and more widely spaced. Photograph: cropped from a photograph by J.L. Kendrick. Crown Copyright: Department of Conservation Te Papa Atawhai, 2014.